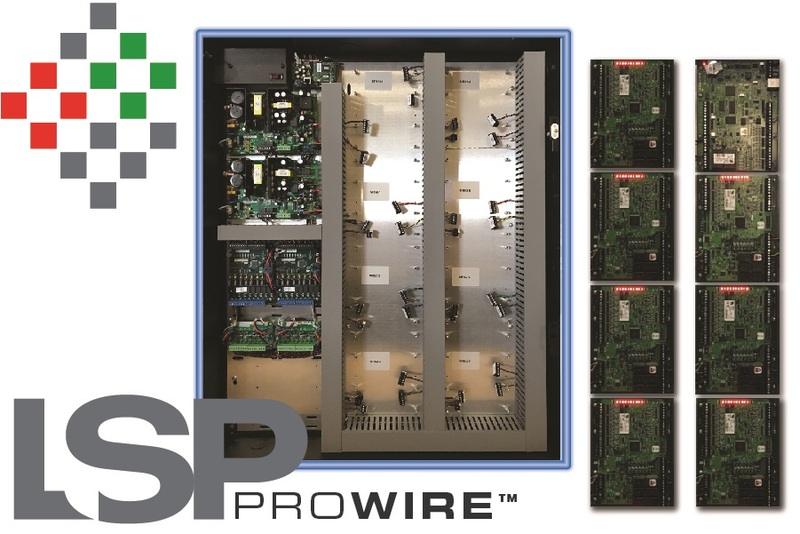 LSP’s ProWire standardizes solutions across the enterprise and provides substantial installation efficiencies; MSM-Enterprise brings new levels of networking intelligence to physical security and connected technologies. Mundelein, Ill., February 2, 2018­–LifeSafety Power, the industry creator of intelligent networking solutions that assess the security infrastructure’s power status in real time, will feature its innovative product category at ISC West 2018 in Las Vegas, April 11 through 13 at booth 5097. Two featured products will include ProWire Unified Power Systems and FlexPower Multi-Site Manager (MSM) Enterprise. ProWire, a UL/CUL certified power solution, was design-built with the security installer and end-user in mind. ProWire eliminates hours of panel wiring, lock control and communication wiring with a standard installation platform that improves system uniformity, streamlining service and maintenance. It includes pre-installed wire harnesses for panel power, lock control, faults, communication buss and tamper switch. The precision wiring design of ProWire eliminates field wiring variability so integrators and end users can establish equipment installation standards for consistent, professional and repeatable results across multiple sites, campuses and locations. ProWire models come standard or networked for power monitoring and are designed with quick-connect terminal strips to incorporate Authentic Mercury Security or Software House access control hardware. Network-connected ProWire systems also can interface directly into Mercury Security or Software House C●CURE 9000 platform, allowing users to seamlessly receive, manage, monitor and control alerts and notifications of connected power solutions. The 100 percent factory tested ProWire comes ready to install and includes detailed wiring documentation and technical specs. Direct-drop shipments bring the prewired enclosures to the job site at the time of installation, saving the time and expense of ordering, expediting and coordinating components that often complicates field-wired installations. FlexPower MSM-Enterprise, now PC-software driven, can manage an unlimited number of power-connected systems and extract critical information, producing charts, graphs and other analytical data for proactive site management. The software platform permits instant access and usable data to monitor, assess, maintain and troubleshoot connected solutions quickly and easily. 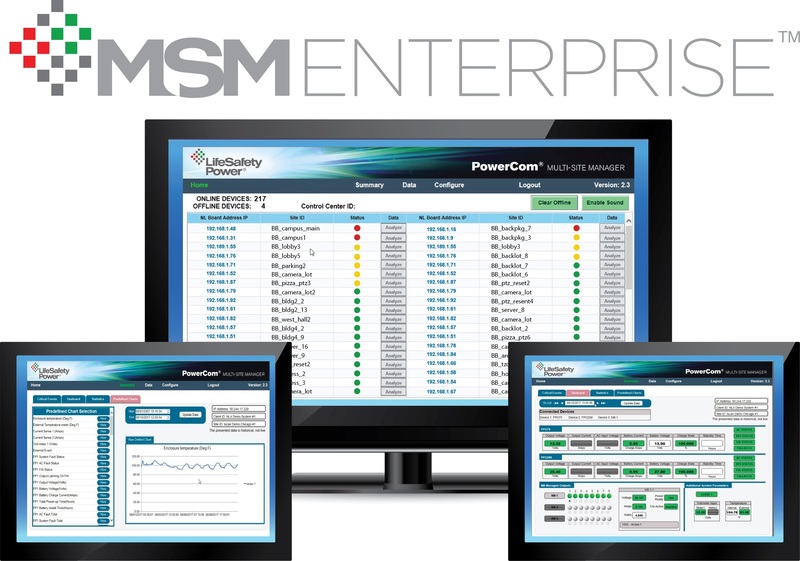 MSM-Enterprise makes it simple for systems integrators and end-user customers to see or export statistical information, for example output voltage fluctuations over time, standby power capability and incidents of AC power loss or fluctuations for a detailed history and assessment of power. Users can click on different tabs within the program to ascertain the operability of systems and determine the real-time health and viability through data extracted on power variances or voltage events. For more information call (888) 577-2898 or visit www.lifesafetypower.com.